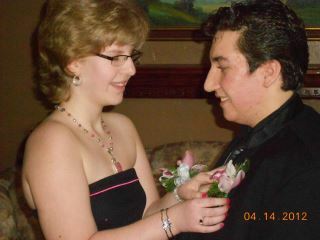 This is Rachel (16) and Arey (17) as they prepare for Arey's Junior Prom on April 14, 2012. I would like to thank Arey's mother, Maria, and Rachel's mother, Donna, for sharing this beautiful photograph. As you will see, because of these women, and their handsome teens, I am a Hopeful Parent. 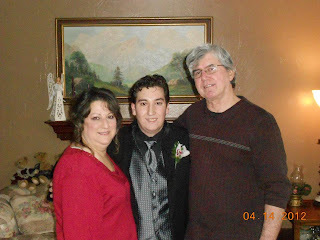 Rachel and Arey are your typical high school students who, like my son, Nicholas, just happened to be diagnosed with Prader Willi Syndrome. PWS is a complex genetic disorder affecting the 15th chromosome. Some symptoms include: low muscle tone, high pain tolerance, difficulty regulating body temperature, hypothyroidism, behavioral and cognitive challenges, speech difficulties, low metabolism and seizure potential. But perhaps the most frightening aspect of this syndrome, is the lack of ability for individuals to control their eating. Children and adults diagnosed with PWS are always hungry. Physiologically, they lack the ability to control their hunger and if left unattended, will eat life threatening quantities of food. As a result of this flawed hunger signaling, all individuals diagnosed with PWS must live in an environment where food is secured. At home, refrigerators and pantry cabinets must be locked. All access to food throughout the day and night, must be controlled always, for the rest of their lives. Ironically, at birth, most children diagnosed with PWS, experience low muscle tone making it difficult for them to feed. Most are diagnosed as "failure to thrive". My son, Nichols was no different. I spent the first few years of my son's precious life living with a constant and crippling state of fear and an overwhelming sense of sadness. How could the future be happy for a child born with this diagnosis? I resigned myself to living this unhappy life that was thrust so mercilessly upon me. I plodded through each day, sad and depressed, a darkness seemed to follow. I was anxious and angry. An indifference kidnapped my body while fear suffocated my hopeless heart. But soon I realized, that caring for a child diagnosed with special needs required an almost superhuman level of endurance. There were doctor appointments, meetings with specialists, surgeries and therapies. If I was to survive this chaotic lifestyle, this life-draining fear and unhealthy sadness would somehow need to be diffused. And so I reached out to other parents. I listened to these special few, who, with their careful words and thoughtful advice began to heal my wounded heart. They gave me tools and techniques for handling the difficult aspects of this bizarre syndrome. They showed me photographs of their happy children and told me of their fulfilling lives. Yes, it would not be easy, they said, but encouraged me to embrace and "see" that underneath the great sadness of this syndrome, there was also great beauty. The secret they said was to silence that fear, to look for the beauty and live each day knowing there were others who understood my difficult life. They told me there was always hope. And so these strangers have become like a family to me. The happy news of their children's success challenges me to put aside the feelings of sadness and regret, to see what is truly important in life. I am inspired by their stories. I would like to share one of these stories with you. Rachel and Arey met about 5 years ago at the PWSA of Pennsylvania chapter meetings. They see each other at these outings and events and enjoying speaking with each other on the phone. 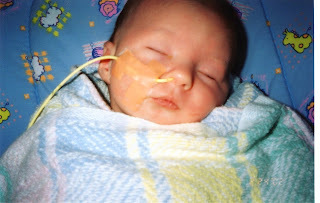 "I remember when he was born, thinking this day would never come," said Arey's mom, Maria. She explains that they danced all night and had a great time together at the prom. "Rachel has three older sisters who all have enjoyed going to many dances. It was so nice to see her enjoying herself too." says Rachel's mom. They danced so much throughout the night, that both complained of sore feet. The dinner they said was delicious. Both parents pre-ordered their dinners, orchestrated the entire night and made sure they had a one-on-one aide. "I asked Arey who he sat with -and he said no one. He and his date were alone. I felt that stab of pain and grief - but they did not! They thought it was great to have the table to themselves," Maria explained. "Rachel especially liked being able to stay over Arey's house in his sister's room. She got to spend the whole next day hanging around with her boyfriend, who she hardly ever gets to see," Donna added. "Arey is the youngest of six children. He has three older brothers and two older sisters, who have all contributed to his growth and development. I could brag about all of my children, I am so proud of them all. Arey is an incredible young man. He is kind, thoughtful and loving. We were told that he would not have a sense of humor so we teased him mercilessly in an effort to teach him. We may have come to regret it as he is now sarcastic and humorous." says Maria. "Arey also enjoys reading. He has a wonderful vocabulary that surprises me sometimes....again, we were told he would not be able to have much control over this - so we used more difficult words and explained the meaning of them from the time he was little." Maria explains that he will be in a program in high school that will help him learn job skills next year and after he graduates. Hobbies for Arey include collecting elephants and playing video games. Arey enjoys video games on the computer and other game systems. He pays for them using his own money that he earns from doing chores. He cleans the yard after the dogs, weeds the garden and lawn, and takes out the garbage. Recently, Arey has begun a weight loss program and has lost an amazing 35 lbs. Once weighing in at 212 pounds, today he weighs an incredible 177 lbs. His trick, Maria says is having everyone on the same page in the house. "Arey has the desire to loose. He is at the age where it really matters to him. He wants to loose the weight and I am very surprised at how easy its coming off. He evaluates what we are going to eat and knows how many calories he can have. We still lock. He needs it and wants that control. But I never thought that he would understand calories or want to lose weight. We have been working on making good food choices for a long time - and at this point -it's all clicking for him. Not that food is not a constant struggle -or that given the opportunity, he would pass on sneaking food - but this is more than we hoped for," says Maria. "Anything is possible until proven otherwise! Our children write their own stories and make their own destiny. We are just along for the ride, which has its ups and downs and level outs. But in the world of PWS, those ups are so much more glorious and special." "Life is not all doom and gloom for those with special needs,"says Donna. "My wish for other parents - that they have hope," adds Maria. Listening to these special mothers has helped me to quiet my fear. Thanks to Rachel and Arey I am no longer afraid of the future. I see them dancing through life happy, healthy and unaffected by the thoughts of others. I see there is much to enjoy about life. - - - - - - - - - - - - - - - Lisa Peters shares her writing at: www.onalifelessperfect.blogspot.com. If you would like more information about Prader Willi Syndrome, please visit the national website at: www.pwsausa.org. Many thanks to Arey, Rachel, Donna, Maria and their families for sharing their story with us! Please feel free to leave a comment for Rachel and Arey. Beautiful story, Lisa. 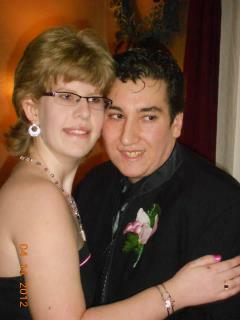 Arey and Rachel look so handsome and pretty heading off to the prom. Thanks for sharing their inspiring stories. Thank you for the comment Carrie, they both had such a wonderful time at the prom!